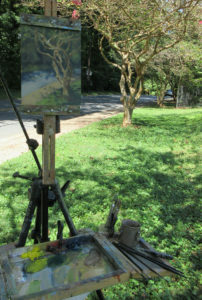 Today was my maiden voyage — riding my bike to plein air paint. 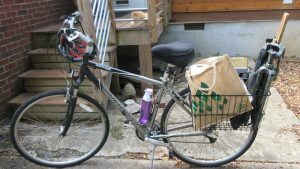 I uplifted my bike with some big baskets so I could fit all my gear. Fun! Makes it so much easier to look for places to paint. Not trying to drive a car and scope out possibilities!! This particular tree is one that I always look at in my neighborhood. I love the twisting branches — it looks like one of those trees on the coast that’s been windswept. This is Day 2 of the 30 day challenge. Once again if you purchase this painting, half of the price will go to a charity to help the victims of Hurricane Harvey. Make sure and let me know which charity you prefer. I mentioned 3 in my first blog post about 30 in 30. 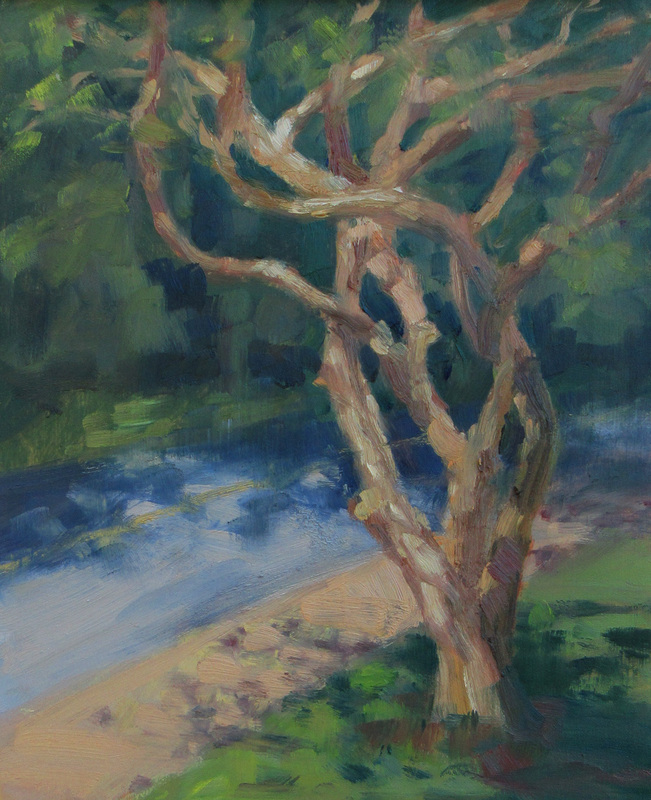 This entry was posted in 30 in 30 Daily Paintings, Plein Air, Strada Easel Challenge and tagged 30 in 30, Charlotte nc, daily painting, landscape, painting from life, strada easel on September 2, 2017 by Robin Wellner.